Wasabi-San will definitely appeal to the fans of Japanese culinary art. 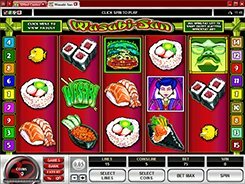 Featuring 5 reels and 15 paylines, this appetizing slot takes you to a Japanese restaurant that serves various kinds of sushi dishes. 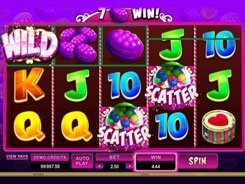 Customizing a coin size and the number of coins per line, you can place a bet anywhere between $0.01 and $75. 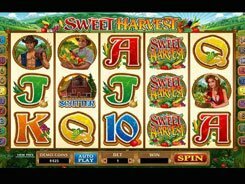 The slot features a wild, two scatter symbols, free spins and a bonus round. 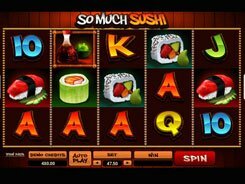 A wild which is the Sushi Chef substitutes for other basic symbols and pays out x5 to x7500 times a line bet for two to five landed on a payline. 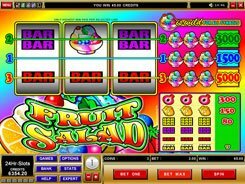 Three or more Wasabi symbols scattered anywhere on the reels activate 10 retriggerable free spins at a x3 multiplier. There is also another bonus game known as the Fish Market Bonus unlocked by 3+ poisonous puffers. Should it happen, you will be taken to the second screen showing a fish market. Your task is simple, just pick three fish and see what is hidden underneath. 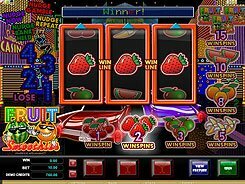 The largest prize you can win in the bonus feature is x2500 times a line bet.